Provides research based advice and practical suggestions to help students beat procrastination and perform better at university or college. 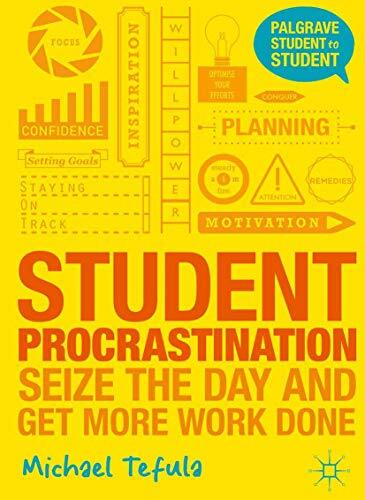 Written by a recent graduate, the author gives students a chance to explore the root causes of procrastination and some of the best ways of eliminating it. With a combination of theory, practice, and case study stories and tips from other students, this book will help students seize the date and get more work done.